I'm posting this for my dad, he has been drawing plans for over 15 years now. He's a professional who will work hard to draw the house of your dreams. Bring him anything from an idea in your head, to a doodle on paper and he will get it done. 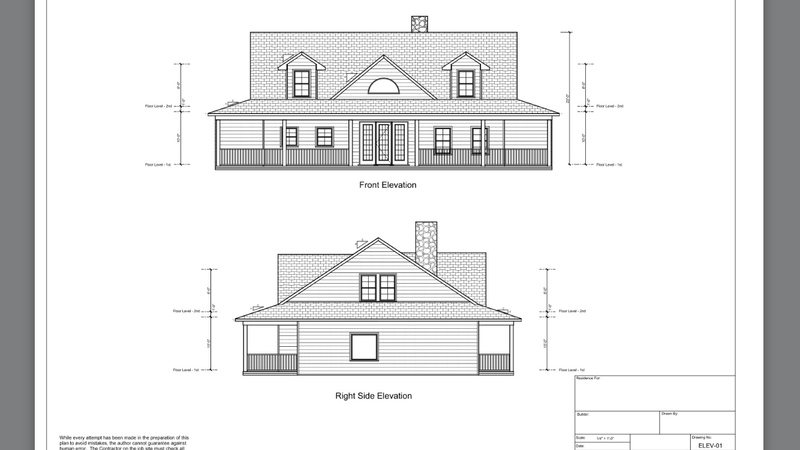 House plans include 5 sets of the following CAD drawings: Site plan, Foundation plan, Floor Plan, 4 Elevation drawings, Roof plan, and Electrical. All drawings are printed on 24" x 36" paper. He typically charges $0.50 per Sq Ft for area under roof. Price could vary depending on the complexity of the project, but .50 is standard. The structural engineer charges 30 cents a square ft to stamp and seal the drawings. 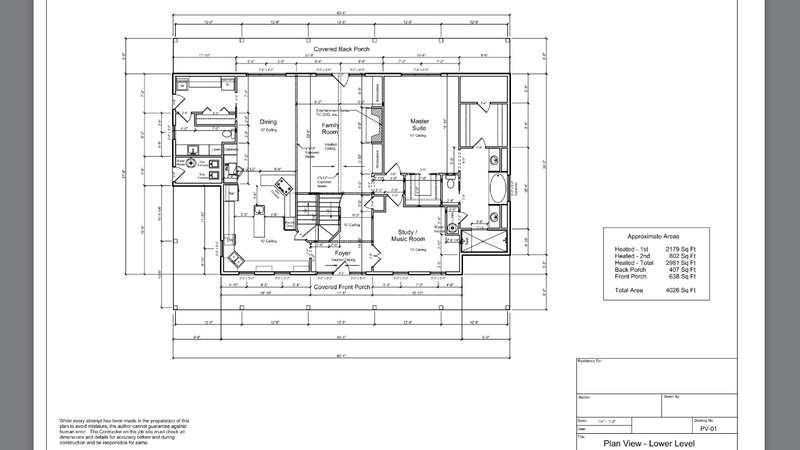 Here are some samples of his work, a floor plan and front and side elevation. He will be happy to answer any questions you may have. Yellow River Cat and daniel9829 like this. Yeah, if you know any home builders feel free to pass the word around. References available on request. Thanks for posting Josh. Good timing as we are finally looking to build, shall be in touch with your dad when back from this trip, mid July. 2015/01 transatlantic sail aboard Globe Challenger one from West to East. ARC 2017 Las Palmas to St Lucia, 45ft Lagoon. Glad to hear you are building Emmanuel! Where do you plan to build? I will contacting him, looking to build an elevated home. Bump for some nice plans. He's met a couple of nice people from here building some neat houses. Dang, we need some but had no idea it was another couple grand just for plans! I swear it's a thousand here, two thousand there, every time we turn around. Catchin Hell, Yellow River Cat and Boat-Dude like this. I want to thank you for the info of your dad. Jerry and I have become very good friends while he was helping me design my addition, I would highly recommend him to anyone any where, he has help me thru a lot of red tape and is truly a great man, you are very lucky to have him as your dad. And good luck with your twins on the way.